One of the most sensitive issues confronting women today and, for that matter, decades passed, is our reproductive rights. It is my opinion, and I believe the opinion of many women, that a woman needs – and should have without question – the right to direct her own life to include choices regarding her health. These issues include, but are not limited to, legal and safe abortion, contraception and good obstetric and prenatal care for a safe and healthy pregnancy should she so desire. In a perfect world, it would go unquestioned as to whether or not a woman should have the right to good health care; but unfortunately, in a Donald Trump administration this is not the case. It’s ridiculous that birth control and basic health services are still “controversial” – and even more alarming that political leaders continue to put up obstacles to affordability and access to essential reproductive health. Women’s bodies are a perennial political battleground in the US. America is the only developed country without universal health coverage and one of a few that does not provide paid maternity leave. Compared to women in Canada or Europe, it’s harder for Americans to take time off work to see a doctor, or get affordable child care. There is a clear line to draw between the shockingly high risk of American women dying in childbirth and the poor or limited prenatal care available to them. The shocking truth is that the health and well being of women, particularly poor women, just isn’t valued as it should be. It is important to note, that South Carolina and nine other southern states rank lowest in birthing of healthy infants. The southern states have a higher rate of sexually transmitted diseases, low birth weight babies, and infant mortality. This is a direct reflection on the inability to obtain good and consistent pre-and-post natal care. These 10 states did not expand Medicaid as is made possible under the Affordable Care Act. Abstinence programs began in the 1960s and proved to be an utter failure despite the expenditure of more than a billion dollars. Telling a teenager to “just say no” to their raging hormones is akin to me saying no to a winning lottery ticket. There is power in education and an educated teen forewarned is forearmed. I only wish, in doing my research for this paper, that I could have known how many “abstinence” babies were born over a period of time. I would bet the farm that the number is staggering. Many policies hostile to women’s health predate the Trump administration. But President Trump and the Republican-led Congress have made some remarkable moves to reshape women’s health law and policy and curtail hard-fought access to reproductive health care and family planning services. 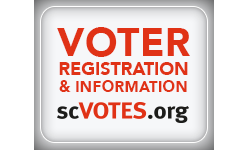 This includes supporting the right to choose if and when to parent; protecting women’s reproductive rights, including abortion, access to contraception and health care, particularly in low-income communities and communities of color; and promoting policies and culture shift that enable all to parent with dignity. Examples of proposed changes to our health laws include the relaxation of the Obama era mandate that required employers (and their insurers) to provide coverage for birth control. Under Trump, (oh God who would want to be under him?) – Sorry, I digress. Under Trump, employers can refuse that coverage by seeking religious or moral objections. So, in essence, Trump’s administration is saying no to birth control, no to abortion, and no to federal help such as CHIP, WIC or other post partum services. Such an action would mean that a woman who has Medicaid as her health insurance plan couldn’t go to Planned Parenthood for her health care and get those services covered. And Planned Parenthood would no longer be able to be reimbursed for these services. The impact will have a staggering effect on 2.5 million people who rely on Planned Parenthood for a range of health care services, like birth control and cancer screenings. Three-quarters of the public dollars spent on family planning in this country are Medicaid dollars. 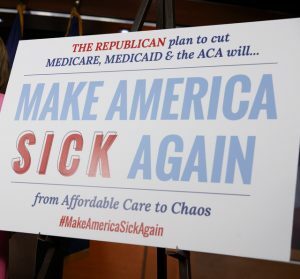 The ACA repeal-and-replace bills the GOP-controlled Congress tried to pass last year called for phasing out Medicaid expansion, cutting federal funds for the program, or introducing a block-grant funding system. After those failed, Republicans within the administration have been encouraging states to implement work requirements for the program. Even though Congress failed to repeal the ACA, the Trump administration is using its executive and its administrative authority to undermine these programs. Making it harder for people to be eligible for Medicaid is expected to result in hundreds of thousands of Americans losing coverage. Fewer people on Medicaid means fewer women accessing health and reproductive services that do things like cover cancer screenings, improve access to birth control, and make sure moms and babies have health care throughout a pregnancy and in the months after a baby is born. Is anyone asking who will house, feed, clothe, provide medical care, education? The list goes on. Where will all these unwanted babies go? It would be nice to think foster care or adoption, but the reality of that is poor so, again, I ask, who will pay for their care? There are even efforts in the administration to make it impossible for LGBT couples to adopt children, denying needy youngsters of a chance to have loving parents simply because of homophobia and prejudice. Please do not assume that I am pro-abortion, because I AM NOT. What I am is PRO-CHOICE. I believe, as many do, that the decision of what could or should be done to my body is mine and excluding perhaps a significant other or physician, no one else need be involved; least of all, the government. Perhaps if our legislative representatives looked at this situation from a different lens, the approach would be different. Let’s pretend, for the moment, that the focus is male instead of female. Let’s pretend that the government says that in order to limit abortions, we should limit conceptions and, therefore, all males over the age of 30 should be chemically castrated or, at least, have to submit to a vasectomy. Keeping in this mindset, the government further orders that because birth control medication will not be covered by insurance, Viagra will not as well. What do you think the response to this idea would be from our legislators? Just askin’! Now that President Trump has nominated Brett Kavanaugh to replace Justice Anthony Kennedy on the Supreme Court, it will be up to the Senate to fully vet him so the American people can determine whether he will uphold the basic civil rights and liberties relied on by everyone in this country. 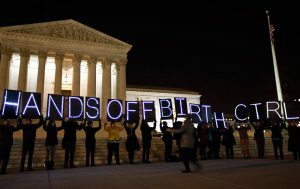 This is particularly true when it comes to abortion rights, where Kavanaugh’s prior opinions on the subject, coupled with the fact that Donald Trump has vowed to only nominate justices who would overturn Roe v. Wade, give rise to serious concern about women’s continued ability to access abortion if Kavanaugh is confirmed. Frankly, Kavanaugh, is frightening. A staunch dissenter of Roe v Wade, his confirmation will tip further the extreme right focus of the court. Kavanaugh has spoken openly and has written dissents regarding his position on Roe. Most recently, he was involved in a case where an immigrant, who found out she was pregnant shortly after arriving in our country, wanted an abortion. Kavanaugh did all he could to prevent that from happening by putting landmines in the way, such as wanting the immigrant to get a sponsor before proceeding with her decision (he knew full well that such a task would take months to achieve). It took an appeal to the full court to overrule him and allow the woman her choice. Kavanaugh still speaks out against the full court’s decision. Kavanaugh, by the way, is the same person who has publically stated that given the chance he would “put the final nail” in the ruling upholding appointment of a special counsel in cases such as the Mueller investigation into Trump and Russian influence in the 2016 election. He has said that a sitting president should be exempt from any criminal charges. I believe it is this position, even more so than Roe, that put him at the head of Trump’s list of candidates. Should Kavanaugh be confirmed, women will have a great deal to fear. He carries positions that will set women’s rights back decades. It is imperative that we let our legislators know our feelings regarding this nominee. 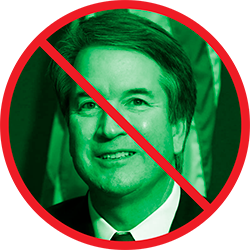 1-844-515-2798 AND DEMAND THEY VOTE NO ON BRETT KAVANAUGH FOR SUPREME COURT JUSTICE! We are not going to let anyone make our health care decisions for us. We are not going to let anyone take our reproductive rights away. We are not going to let anyone tell us how and why to shape our families. We are not going to let anyone limit another woman’s access to basic health care. WE ARE WOMEN AND WE SHALL ROAR!